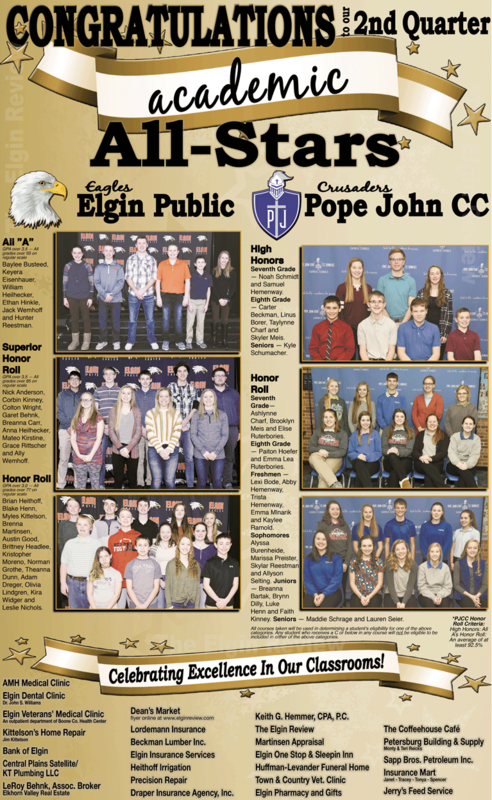 Academic honor rolls were release by Elgin Public and Pope John XXIII Central Catholic middle and high schools last week. As usual, the schools continue to have students excelling in the classroom. Pictured are those named to the honor rolls and the local businesses who recognize their academic achievements.